Tesseract's services are centered on the experience of its two principal consultants: Mr. Rick Perez and Ms. Linda Watson. Together these associates have more than 60 years of combined experience in product development, sales, and marketing for B2B and B2C products and services in the high tech and manufacturing industries. 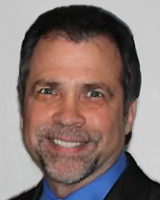 Rick Perez has over 30 years experience bridging the gap between technology and marketing with a unique combination of engineering experience, management skills, and marketing expertise. Mr. Perez is skilled in the development of marketing strategies, pricing, forecasting, brand management, sales tools design, applications development, market analysis and product introduction. 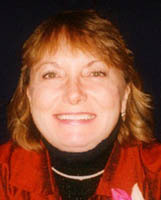 Linda Watson has over 35 years of expertise in management, strategic marketing and business strategies, multimedia communications, introductions for products, applications, solutions and services, event management from concept through completion, and all aspects of corporate education. These proficiencies encompass all distribution strategies (direct, reseller, distributors, channels, partners, co-ops, alliance partners, etc.) and all business models from incubator, start-up, small, medium, and global B2B and B2C companies.